This is the perfect class for new machine owners or if your machine has collected a bit of dust! 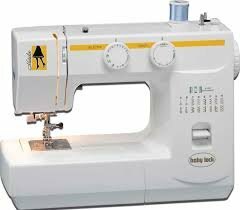 Learn to properly wind a bobbin, thread your machine, change stitches, start, stop, reverse and pivot, how to fix and avoid common problems and how to keep your machine clean and sewing smoothly. This class is a must for all machine owners (and a pre-requisite to any project or group classes offered at the Sewing Center) and a lot of fun!